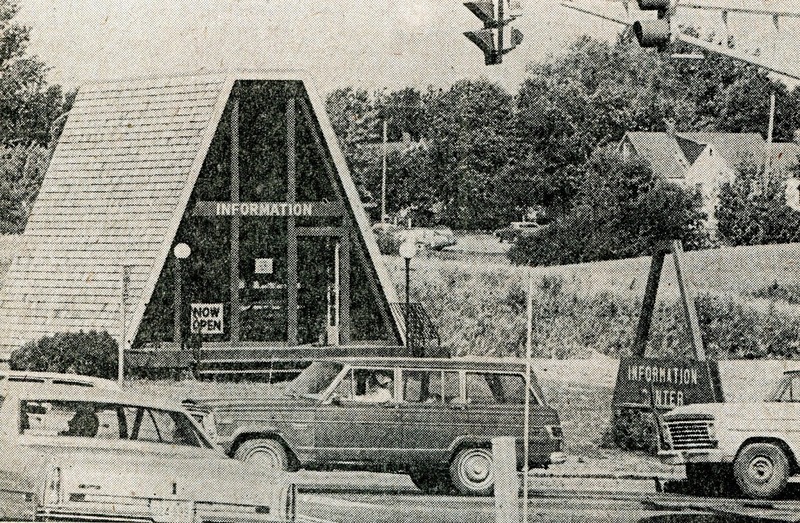 Tourist & Information Center – 1975 – the new Tourist and Information Center opened in the summer of 1975. It was located on the same corner where it is now, Broadway and Eleventh Avenue. It was a small A-frame building about 20 X 24 feet. It was built on the corner of the area that was an old coolie/ land fill. 43 evergreen trees planted around the building were furnished by the Minot Lions Club. Initially students from the Minot Business College staffed the center.